It all started out simple enough with an article looking at how the Cleveland Indians have stayed near the top of the AL Central Division despite having one of the worst run differentials in baseball. 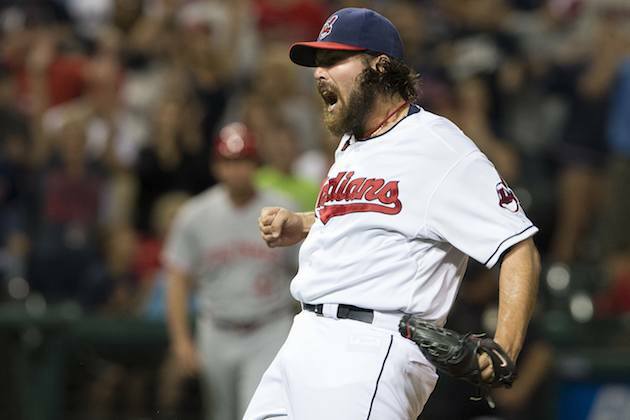 “It’s been kind of weird, honestly,” closer Chris Perez told The New York Times after Monday’s loss to the Yankees. “If we’re ahead after five, we win. And even if we’re down by one or two, it seems big. It’s just one of those anomalies. And then Pure Rage got involved and took it too a whole other level (again). “I don’t get the psyche (of Cleveland fans),” Perez said. “Why cheer against a guy (LeBron James) that’s not even in your city anymore? Just to see him fail? Does that make you feel good? I could see if the Cavs were in the championship, but that’s their mentality. Fans can root for anyone they want. If there are Cleveland fans who don’t want to see James shortcut his way to a title in Miami, and then hear about how he finally decided to work at his game this off-season rather than focus on being a “global icon,” that’s kind of their right. “That’s what I don’t understand,” Perez said. “Their whole thing is, ‘We want a winner.’ Well, why do you support the Browns? They don’t win. They’ve never won. They left. You guys blindly support them. I don’t understand it. It’s a double standard, and I don’t know why. Let’s review: the Browns won an NFL title in 1964. The Indians haven’t won a World Series since 1948. So if we are going to play the what have you done for me lately card, the Wahoos are going to come out on the short end. Plus, Perez may not have noticed, but Cleveland is a football town. Always has been, always will be. That’s the one part where we disagree with Perez. You simply can’t tell people how to spend their time or money. People are going to support the team in the way that best fits their day-to-day life. It would be great if every Indians fans would run to the park for every home game but that’s not reality. In a lot of ways the Tribe is still paying for the sellout streak of the late ’90s. Too many people think that is the norm when in reality the Tribe hit on a trifecta of being really good while the Cavs stunk and the Browns were in Baltimore. No matter how good the Indians play, those days are just not coming back. Seriously, though, we’re not that worked up about Perez’ latest comments. He’s a little tone-deaf about LeBron and probably shouldn’t worry about what the Browns are up to, but it’s not an odd question to wonder why the Indians don’t draw better. The one thing we can’t figure out, though, is what is his endgame in all this? What does he hope to accomplish by criticizing the fan base? Does he think he can shame fans into coming to the park? Or was it just frustration over the team’s recent struggles? Whatever the motivation, the next time he sees a microphone in front of his face, maybe it would be for the best if Perez offered a “no comment” and walked away.